The Second Amendment ensures the right of the people to keep and bear arms. However, if you have been convicted of a felony, you lose many of the rights you once enjoyed. The right to possess or carry a firearm is one of those. Further, the penalty for felons possessing or carrying firearms is severe. Even if that’s the only charge you’re facing, felon in possession of a firearm is a second-degree felony in Florida. That means up to 15 years in prison, with a minimum mandatory term of 3 years. At The Ansara Law Firm, our Fort Lauderdale criminal defense attorneys know it is critical for defendants in this situation to seek out a good lawyer. Are convicted of a misdemeanor crime of domestic violence. “Possession” by federal statutes can mean actual or constructive. Constructive possession exists when a person knowingly has the power and intention at a given time of exercising control over the object or area where the object is located. For instance, if you are aware there is a firearm in your home or vehicle and prosecutors can prove you have the ability to access and exercise control over the gun, you may be considered in constructive possession. The Middle District of Florida is one of the top five districts for felon in possession of firearm offenses, according to the commission. The average length of sentences for the offense was 75 months (6.25 years). Found delinquent in another state, territory or country of an act that would be a felony if convicted by an adult and was punishable by more than one year in prison and the person is younger than 24. In addition to a maximum penalty of 15 years in prison, one can also face up to 15 years of probation plus a $10,000 fine. There are a few exceptions to these laws, some statutory and some carved out though case law. The individual’s criminal history record has been expunged. It should be noted that while many convicted felons can get most of their civil rights restored, very few have had their right to possess a firearm restored. This pertains also to hunting. As noted by the Florida Fish and Wildlife Conservation Commission, it’s illegal for a convicted felon to possess a gun – even for hunting – unless their firearm authority has been restored by the state’s Clemency board OR the gun qualifies as an antique firearm, as classified by F.S. 790.001(1) (which pertains to firearms manufactured in or before 1918). As far as antique firearms go, the Florida Supreme Court ruled in the 1986 case of Williams v. State that an assertion a firearm is an antique is an affirmative defense, meaning the defendant bears the burden of proof on that issue. More recently in Weeks v. State, the Florida Supreme Court decided in 2014 that a convicted felon in possession of a pre-1918 antique firearm while hunting should still face charges because it was affixed with a modern scope that was not made prior to 1918 nor was it a replica of an accessory made prior to that year. That case underscored the fact that if you plan on carrying an antique or a replica, you need to carefully look at all its parts or accessories. If you are arrested for being a felon in possession of a firearm, an experienced defense attorney in Fort Lauderdale can help you determine the best strategies for defending your case. 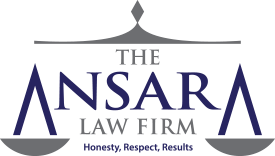 Call the Fort Lauderdale criminal defense attorneys at The Ansara Law Firm today for your free initial consultation at (954) 761-4011.